Going far afield with a tot in tow? With the new 2016 BabyZen YoYo+ 6+ Stroller, it's easier than ever: this year's version of the stroller that folds up small enough to fit into an airplane overhead compartment* has some great new features we think you'll love! 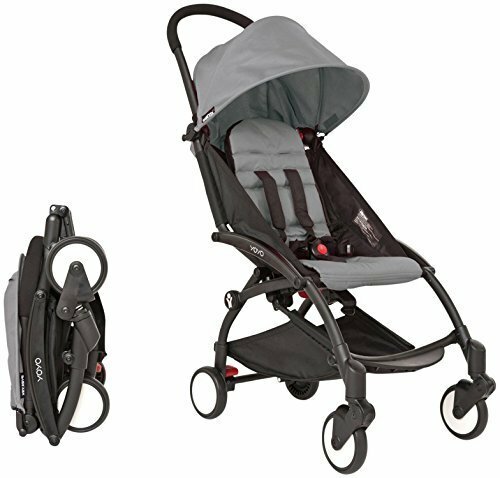 The BabyZen YoYo + 2017 weighs in at a petite 13 pounds, but is loaded with comfort and convenience features you won't find in most strollers this small: in addition to that teeny-tiny fold, it has a reclining seat, an extendable leg rest, and the "soft drive" system, which enables you to navigate over rougher terrain without having to lock the wheels in place. Have a toddler too? The all new yoyo + Running board will work with this stroller.